Jessica, who studied at Manchester University in Britain, married and married her Indian maternal grandfather, Mithesh Patel. Jessica and Mitesh Patel, a couple who lived in a Royal Hospital in Middlesbrough, North Yorkshire, in the northeast of England. In this case, Jessica (34) was found dead in a house in the suburb of Lindorpe, where he was found lying in a mortuary with serious injuries. 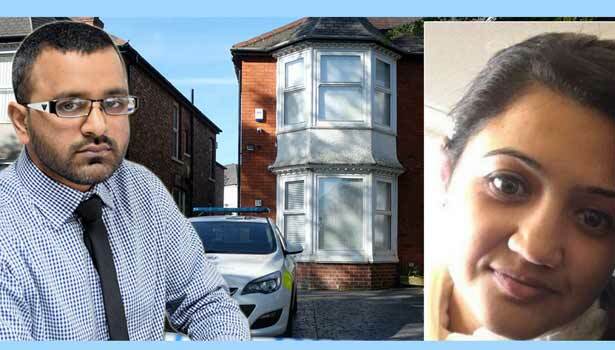 Subsequently, when police arrested and questioned Mitesh Patel on suspicion, he had no connection with Jessica's death. But the police had a lot of startling facts when they searched his mobile phone. Mithesh, who had a great deal of love with homosexual males since his younger years, has since followed this marriage. Amit, a resident of Sydney's Sydney city, has been introduced with a unique 'App' for worldwide homosexuality in the year 2015. Mithesh planned to go to Australia and join Amy as a couple. But, according to Hindu tradition, Jessica was planning to solve the problem of divorcing her. Furthermore, Jessica's life insurance premium amounted to £ 20 million in spite of this murder project. Jessica's body was taken from her body and kept in a frozen cinnamon in Amit's body to get the child to work. Following this, how can kill him? Mithesh, who has been alerted, has been exploring several websites and exploring. Finally, Jessica was killed on May 14 by paying too much insulin. The police investigation found that it was the handiwork of robbers in the house to hide his involvement in the murder. Based on the evidence, the police registered a murder case against Mitheesh Patel (37) and produced him in the Teasseed Crown Court. The judge ruled that Mitheesh Patel was sentenced to life imprisonment after the trial was over.